Property owners living in Little Rock are accustomed to the severe weather patterns that come with the seasons, as well as all the water damage and structural issues these storms can cause to your property. When a water emergency occurs, whether it be from a storm or a malfunction in the property, 911 Restoration of Central Arkansas is ready to assist you on a moment’s notice. The Little Rock staff is available 24/7/365 to help you, no matter what time you call. 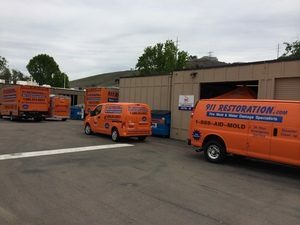 They will get disaster restoration technicians to your home or business within 45 minutes of receiving your call to begin repairing the water damage. 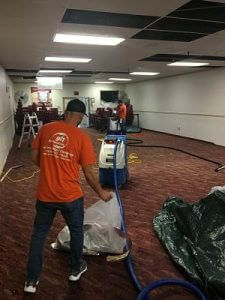 It is important that you feel like you can trust the water damage restoration team, so the entire operation is licensed, bonded, and insured for your protection. The highly trained technicians are also IICRC certified to implement disaster restoration services on both commercial and residential properties. Natural disasters are as destructive as they sound, with 911 Restoration of Central Arkansas on the job, you can trust that they will handle every aspect of the disaster restoration. Since the Little Rock branch is locally owned and operated, the professionals know exactly what services property owners in the area need. So, call 911 Restoration of Central Arkansas when you need a team of experts to provide you with the peace of mind you deserve. 911 Restoration of Central Arkansas has the experience, equipment, and education to handle a full scale disaster restoration effort. Our technicians are IICRC certified for water damage restoration,k fire restoration, mold remediation, smoke removal, sanitation, order removal, and much more. 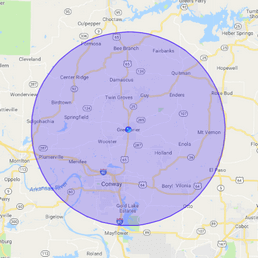 When you choose us for your disaster restoration in Little Rock and the surrounding areas, we will be there within 45 minutes to start property repairs from damage due to floods, fire,s, or mold. We are available 24/7 to offer same day service emergency restoration. Our goal is to provide you with a fresh start, so you will be heard and as our technicians make your property even better than it was originally. When you work with 911 Restoration, you partner with a nationwide restoration company with over a decade of experience helping the community and the country when disasters strike. We are a full scale disaster restoration company in Central Arkansas ready to take your damaged residential or commercial property and turning into a beautiful palace once more. Call now and get started with your fresh start. Along with hurricanes, Little Rock also experiences blizzards and snowstorms. A blizzard is a type of snowstorm that generates winds of 35 mph or more and diminishes the visibility of less than a 1/4 of a mile for at least three hours. 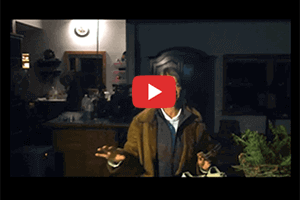 These weather conditions can severely impact your property. 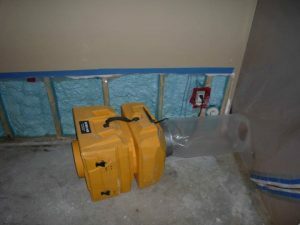 Similar to hurricanes, the water damage created by these blizzards can be excessive. Snow can pile up on roofs to the point of causing a collapse, which can not only affect the structural integrity of your property but can allow the outside elements inside, causing water damage. 911 Restoration of Central Arkansas can provide you with the complete home restoration needed to obtain a full recovery after a disaster of this magnitude. Their disaster restoration team will even provide a free property inspection for property owners to put your mind at ease before any of the work begins. On top of administering the disaster restoration services, the staff in Little Rock will assist you with your insurance claim by providing a free insurance consultation. It is important to us that you get the financial coverage you need so we can get you the disaster restoration services you deserve. Call 911 Restoration of Central Arkansas today and let us show you that a disaster can actually become a fresh start.